The Yemeni Houthis group (Ansar Alla) has denied accusations by the Yemen's internationally recognized government and its supporter coalition of the launch of two drones on Thursday in the city of Sayoun in the eastern province of Hadhramout. 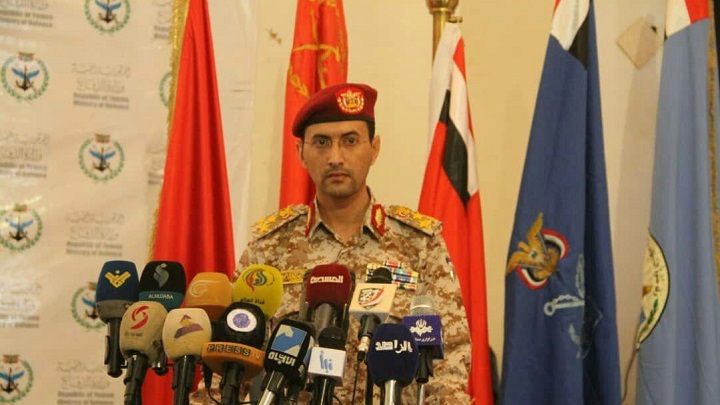 He accused the coalition and the Yemeni "legitimate" government of the fabrication of pretexts and justifications for the implementation of his plans revealed in advance, the latest claimdowning of a drone belong to the Yemeni army forces in the sky of Hadhramout. The governor of Hadhramawt, Faraj Salem al-Bahssani, revealed that the second plane was shot down Thursday afternoon, flying over Sayoun city after another one downed earlier. He pointed out in a press conference that the Houthis launch tow enemy drones, they were intercepted and shot down and no one was hurt, noting that the coalition forces began procedures for this incident.". "The time is not right to disclose this information at the moment. ", al-Bahssani added. This comes as the Yemen's internationally recognized government prepare to convene a sessions of the House of Representatives in the city of Sayoun, the second largest city of Hadhramout. Yemeni President Abdrabbu Mansour Hadi, late on Wednesday, calls on the Parliament to convene an extraordinary session in Yemen's eastern province of Hadhramout. According to Aden-based Yemeni "Saba" news agency President Abdrabbu Mansour Hadi issued decree on Wednesday which calls on the Parliament to convene an extraordinary session in Yemen's eastern province of Hadhramout. Saudi Patriot-equipped and Yemeni presidential guard forces arrived Saturday in Sayoun to secure the session, the first since 2015.